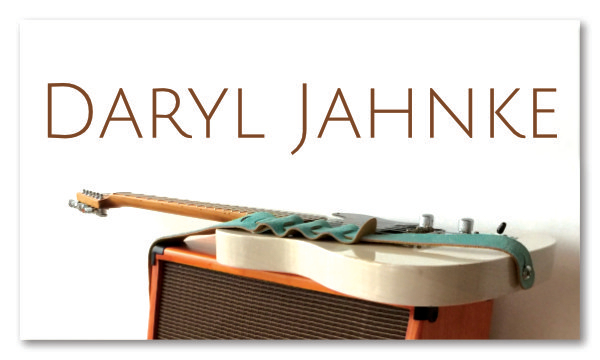 This is Daryl’s music website. It demonstrates the one page navigation style for a website. This means that all the content is on a single page and the menu items simply scroll the page to the designated area automatically, instead of the more traditional approach of opening an new page. I’m using a parallax backdrop in alternating sections to create a striking transition from one area to the next. In the “Listen” area I’m floating three separate playlists from my Soundcloud account. All the music can be listened to directly on the page. At the very bottom is a contact form that is secure and easily managed. Here’s a business card to match.